Russ Hixson was born in Des Moines, Iowa, and has lived there all his life. After graduating from Hoover High School in 1981, he attended The University of Iowa, where he obtained his accounting degree in 1986. He then attended The University Of Iowa College Of Law and graduated in 1989. His fields of practice include medical malpractice and personal injury. He has a deep conviction for helping individuals and families that are suffering financially, emotionally and physically from the effects of medical injuries or injuries caused by motor vehicle and truck accidents. He is a member of the American Bar Association and The Iowa State Bar Association. He is a sustaining member of the American and Iowa Associations for Justice and served on the Board of Governors for the Iowa Association for Justice for three years. 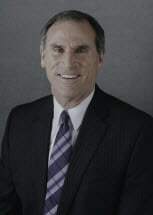 He is a Member of The National Trial Lawyers "Top 100 Trial Lawyers" and has been recognized by the American Institute of Legal Counsel as one of the "10 Best Attorneys" for the state of Iowa. He is a member of the Million Dollar Advocates Forum and has been selected for the "Lifetime Achievement Award" by America's Top 100 Attorneys. The Iowa State Bar Association, July 1989 to present. Polk County Bar Association, July 1989 to present. American Association for Justice, July 1989 to present. Iowa Association for Justice, July 1989 to present. American Bar Association, July 1989 to present. Legal Counsel – "10 Best"
Iowa Association for Justice, 2017 Annual Convention, presenter: "Medical Malpractice Tort Reform in Iowa, What You Need to Know"
Iowa Association for Justice, 2015 Annual Convention, presenter: "Iowa's New Candor Law"